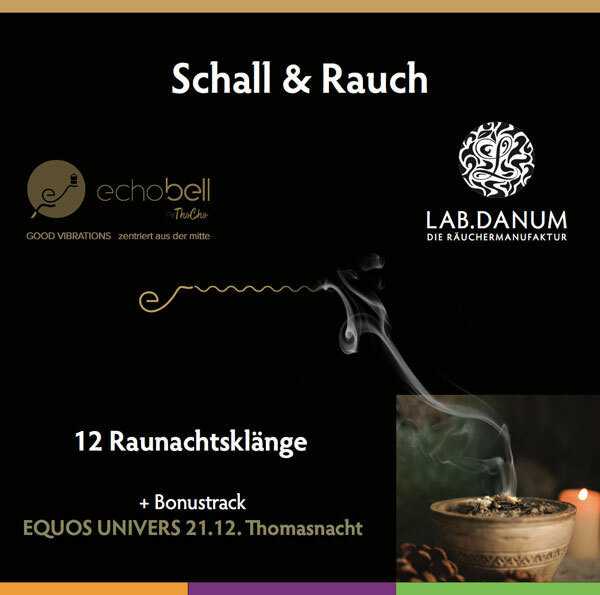 This download contains 12 sounds for the 12 holy nights of Christmas plus a bonus track, “EQUOS UNIVERS – 21.12. Thomas Night”. The compositions are based on the themes of the holy nights of Christmas. With the right incense you can capture the themes of holy nights of Christmas on a very deep level and will guide you to a better understanding of the themes. The combination of sound, fragrance and smoke, carry us inwardly into other worlds. The immersion in the themes of the holy nights of Christmas falls easier, we find answers that penetrate from the depths of our soul to us. 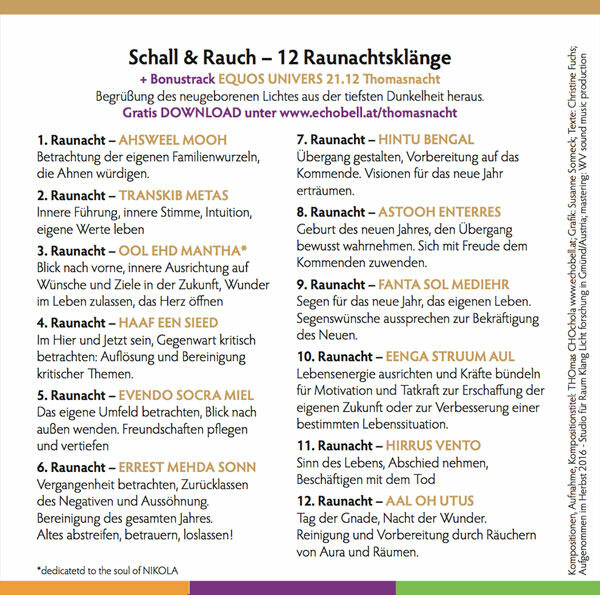 The topics of the 12 holy nights have a direct connection to the 12 months of the year, so it is also advisable to hear the individual compositions during the year when “old patterns” show up.